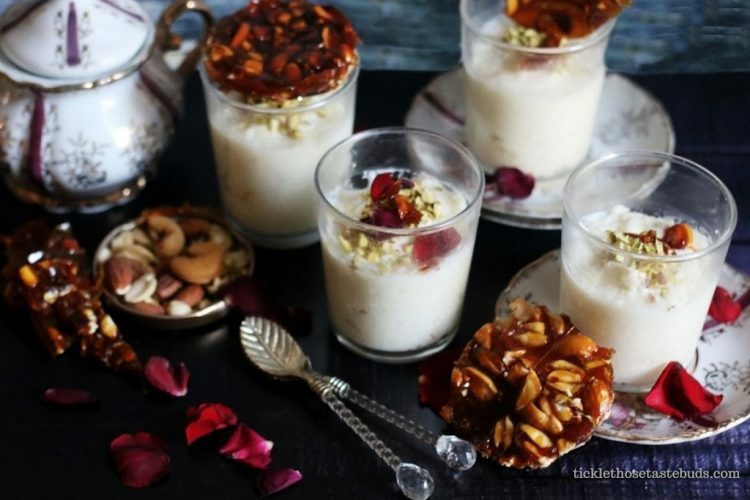 Pakistani desserts are the star of every meal. 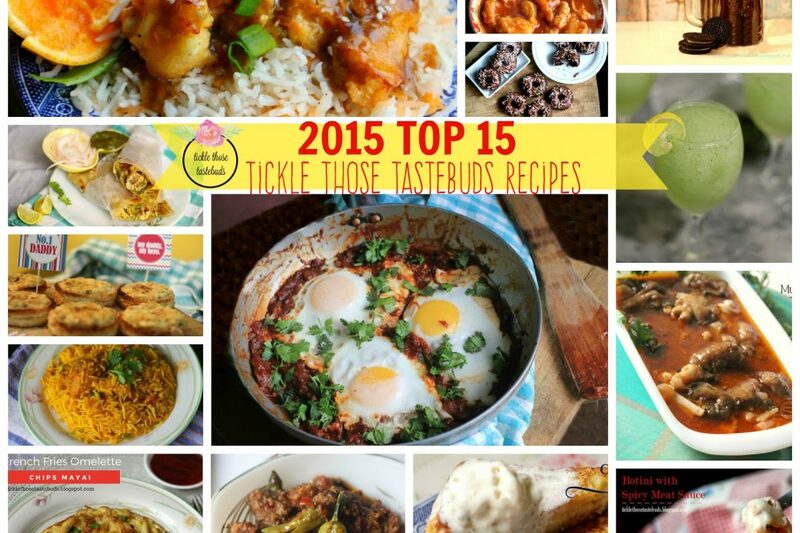 They are rich in taste, texture and flavors. I love desserts of all kinds but our Desi Desserts are my favorite. 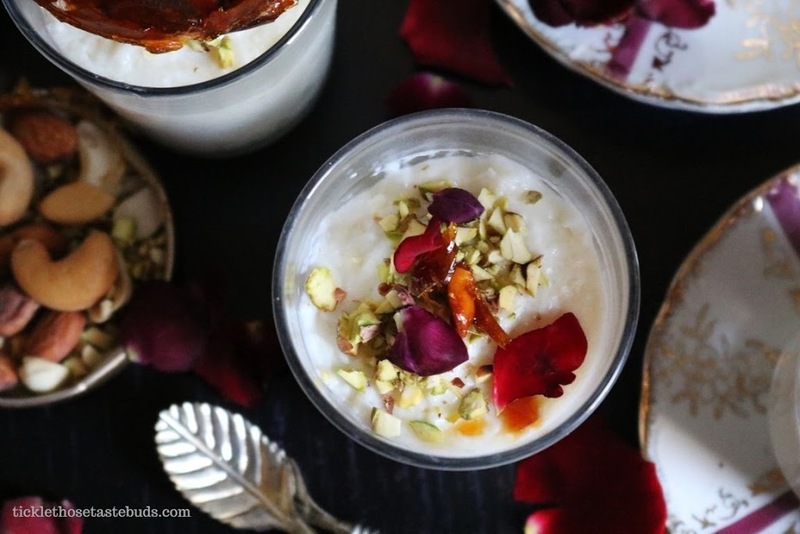 From Gur walay Chawal (Jagger Rice) to Zarda (sweet rice), Ras Malai to Rass Gullah, Suji Halwa to Gajar Halwa, Firni to Rabri, Seviyan (roasted vermicelli) to Mithai (sweets) each dessert dish is unique and tastes delicious. Out of all the desi desserts my favorites are Shahi Tukda and Firni. 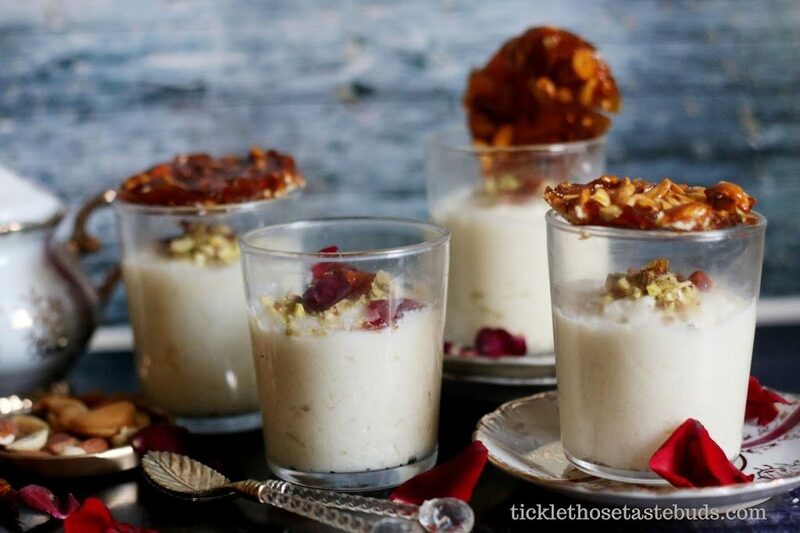 Firni or Phirni is a rice pudding made with ground rice. 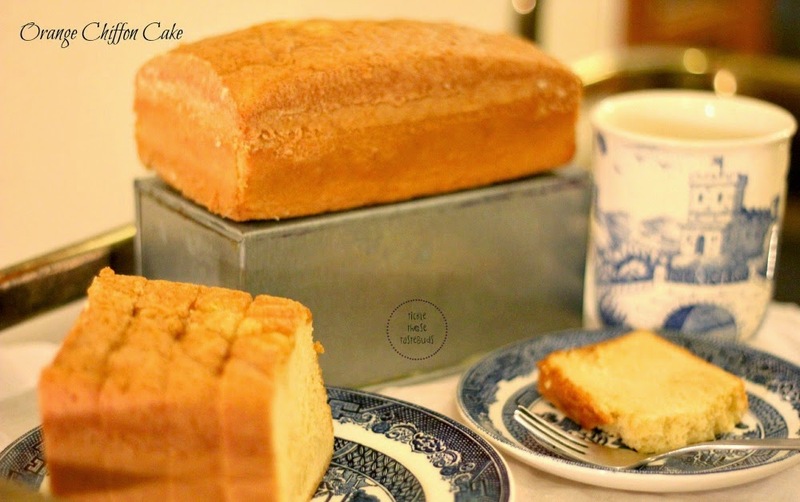 It’s infused with the flavors of cardamom and saffron. The creamy and smooth texture, speckled with slivered nuts, is what makes it an enticing dish. Firni however is different from Kheer (another rice dish) as kheer is made used whole Basmati rice whereas for Firni ground rice is used. 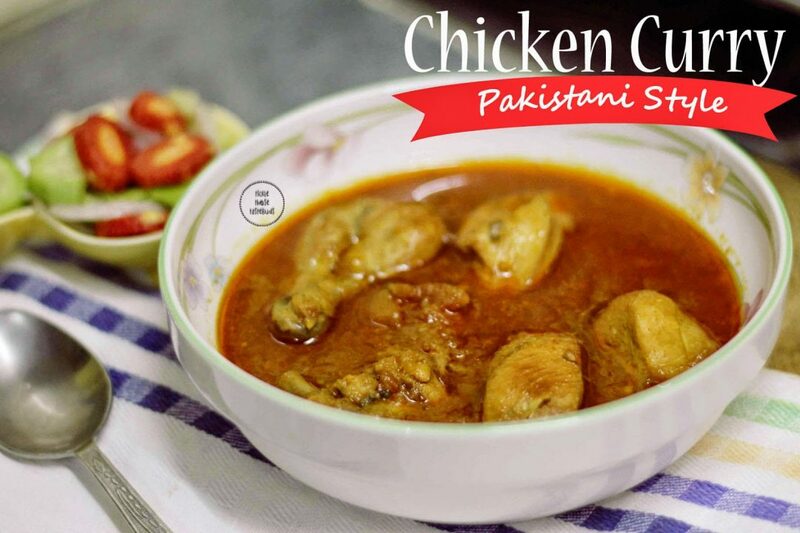 In Pakistan, Firni is both an every day and a festive dish and is traditionally served in un-glazed terracotta bowls called “thoothi” which gives it a subtle earthy flavour. 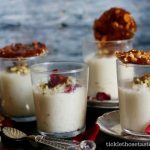 I remember, whenever my mother used to ask what we’d like for dessert, my reply was either Shahi Tukda or Firni – I love it that much. 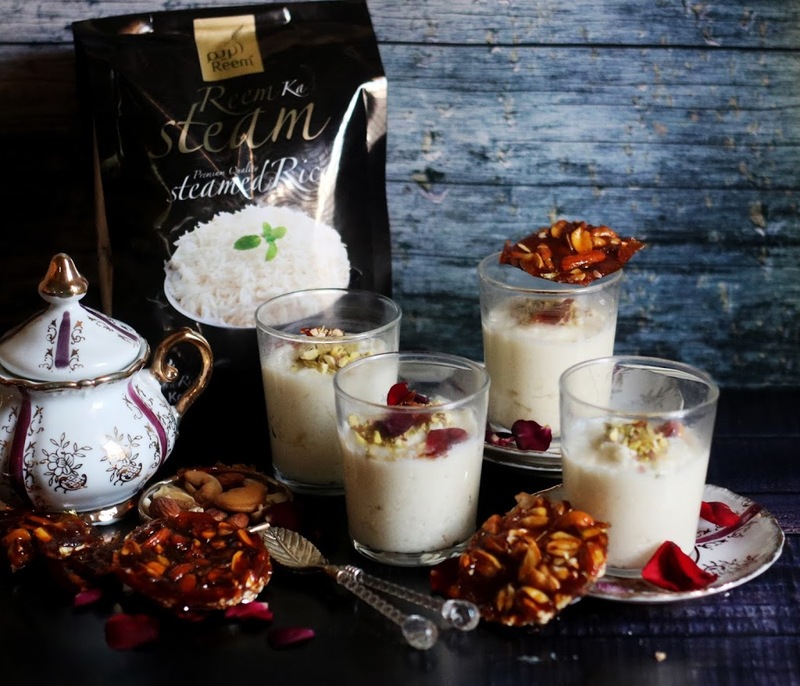 So contuning with the Fun, Creative and Delicious Rice Recipes, this recipe was prepared using Reem ka Steam Basmati Rice. I have been really impressed with the quality of the rice. It’s long grain and fragrant rice, the quality everyone looks for in good quality rice. My family has already switched to Reem ka Steam Rice. To make it look a bit fancy, I added Nutty Caramel Discs to top this delicacy. The caramel discs are made of nuts (cashews, almonds, pistachio) and caramelized sugar. It’s rich with nuts and adds a crunchy texture to the rich and creamy Firni. Everyone loved the addition of Nutty Caramel Discs to the traditional Firni, a great way to impress everyone with your culinary skills. 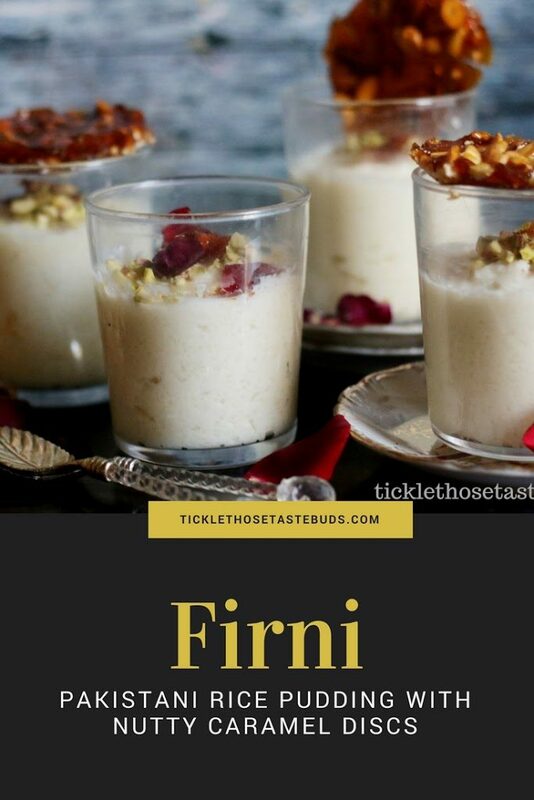 It also made Firni look more festive and even more delicious. Now pour the nutty caramel mixture on a silicon sheet and spread evenly. If you don’t have a silicon sheet, grease a baking tray with clarified butter and spread the nutty mixture on it. While the mixture is still hot, using a cookie cutter make round impressions on it so that it’s easier to shape the discs. Let it cool completely on room temperature and then take out the discs.